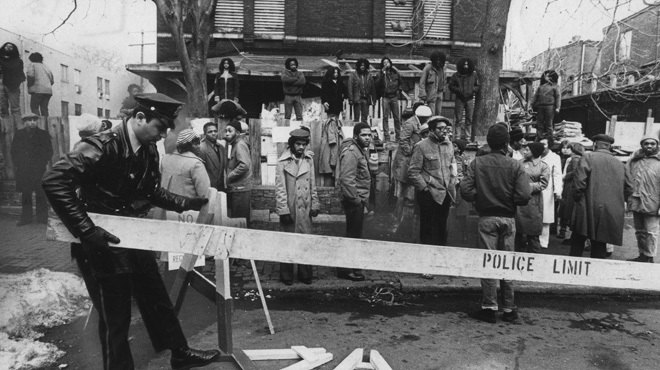 MOVE members and police during the 1978 confrontation outside MOVE headquarters. It’s the week of the 29th anniversary of the MOVE bombings, and for those who were in the middle of it and are still with us, the memories of those tragic events still linger all these years later. As the haunting story unfolds in Jason Osder‘s Let the Fire Burn, which premieres tonight on Independent Lens on PBS (check local listings), you may be curious as to what became of some of the people involved. Yet after years of rehabilitation from injuries physical and psychological, he graduated from high school, served in the Army, became a father and made a career as a long-haul trucker and a barber. Meanwhile, she travels around the world – she’s been to Cuba, South Africa, and several European countries – spreading the message of John Africa. And as for MOVE itself, a current website shows the group to be still active. Here’s Ramona Africa a few years ago talking to Philadelphia TV current affairs host Art Fennell, giving her perspective on what happened in that city in the late ’70s and early ’80s. 2010: Berghaier, 60, has long struggled with the guilt he feels about not being able to save the other MOVE children. (He wasn’t aware they were there at the time.) 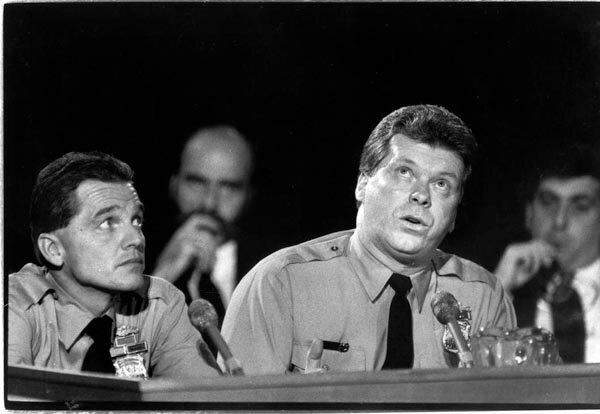 He retired from the police force shortly after the MOVE confrontation and later divorced his wife. He bounced around to various jobs over the years, including working as a bar manager and as a janitor. Remarried, he lives in Northeast Philadelphia and works for a nonprofit agency. Berghaier doesn’t think or talk about MOVE every day, but when he does, it clearly upsets him.